Running Injury? See one of our specialist physiotherapists to get you back on the road quickly. 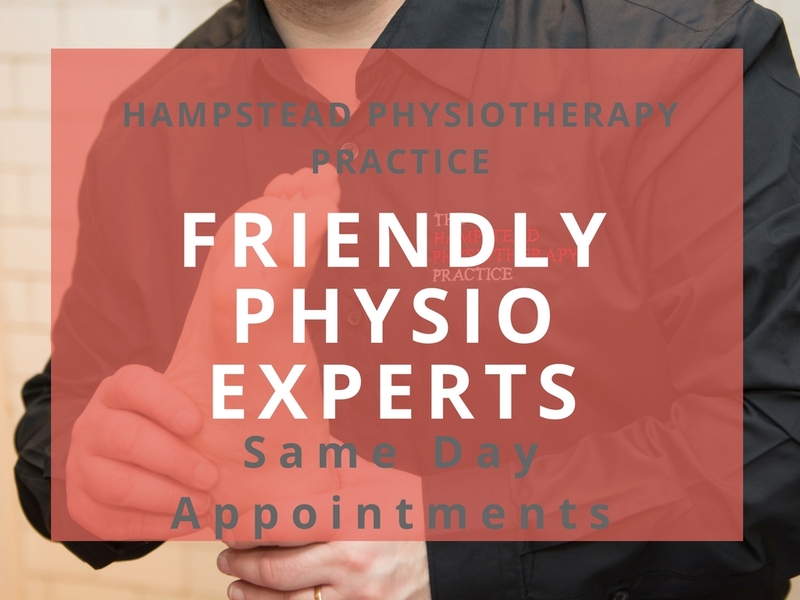 The Hampstead Physiotherapy Practice was established in 1978 and is conveniently located at 12 Church Row, Hampstead, the heart of Hampstead Village NW3. Our single goal is getting you feeling fantastic, faster! We have helped over 17,000 people get back to playing sport, dance at their wedding, get to work without back pain and achieve their goals. Read what our patient’s say about us on our testimonial page here. We have same day appointments and we have appointments available between 8am and 8pm. "Brilliant. Fixed my back issue." "10/10. Always conscious to make sure he is doing the best for me and my condition. Reviews each session & is striving to improve my well-being." "Adrian gets on with the job, helpful and good humoured. Well organised." "Excellent caring treatment. Easy to make appointments. Professional sessions including exercises in practice and at home." "Excellent service, very helpful. Very flexible appointment times. Small, friendly, local." "…being seen very quickly is very useful for the type of problem I’ve experienced. Treatment helped immediately and advice for how to proceed (rest, ice, etc) useful." "Professional, knowledgeable. Achieved required results. What is good or excellent…? Standard of service, ease of getting appointment at convenient times." "Very efficient, explains things well, courteous and encouraging. Pleasant receptionist. Good time keeping, thorough treatment." "First class. Business-like approach. Maximum result and never too many appointments." "Very helpful. Great service, very friendly." "He (Ronnie Abraham) knew his job very well; completely professional and knowledgeable. I was made very comfortable in every visit. It is a very friendly, yet professional centre." "Tom has succeeded where other physios have failed in helping me to rehabilitate a long-term shoulder injury. The program has been simple, clear, and focused but varied enough to keep it interesting and manageable. Excellent." "Ronnie is an excellent physiotherapist- he recognised the source of the problem rapidly and then systematically followed a course of treatment. In my case, I recovered quite quickly under his care. For me, he adopted a small range of remedial treatments, which worked, supported by home daily exercises. The consulting rooms are well-appointed, with very good admin support. I recommend him wholeheartedly." 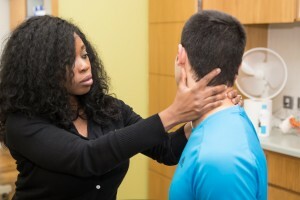 "I’ve had several Physio sessions for cervical neck pain and a trapped nerve with Tosin. She’s absolutely amazing. Very knowledgeable, professional and attentive to her patients, and I can not recommend her highly enough. After the treatment, the pain was gone completely and the mobility in my neck has been restored. Thank you so much!" Thank you for taking time to let us know how you felt about your physiotherapy treatment with us. I am disappointed to read that you were unsatisfied with the treatment that you received by one of our physiotherapists at the practice. I am sorry that you did not want to work with one of our other physiotherapists in the team to help your recovery and get you back on track. We take feedback and every patient experience very seriously and have looked into this matter in detail so that we can ensure we continue to deliver the best treatments possible to our patients.